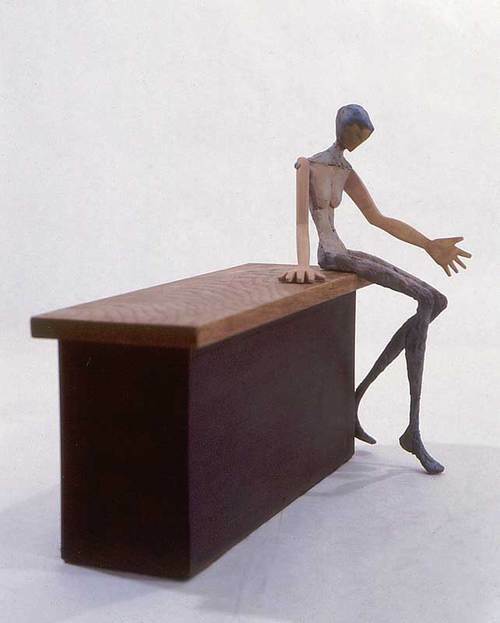 Painted bronze and wood, 1991, 16" x 10" x 17". As a child, I always had a thinking place, a rock high on a hill, from which the valley and my childhood traumas and achievements looked small and inconsequential. It was a place to reflect, a place to plan, a place to celebrate, a place to heal. When I grew up and left the mountains, sculpture became my thinking place.